This packet yields approximately 24 plants when started inside. An absolutely excellent heirloom tomato—firm, meaty, 3" oblong fruits with few seeds, on compact vines that are very productive. 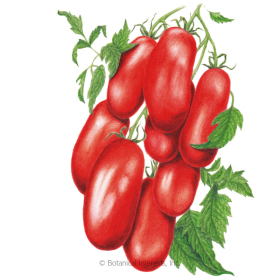 As a determinate type, most of the fruits ripen at the same time, which makes this tomato a good choice for canning. 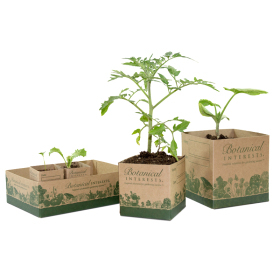 In areas with a long growing season, a second planting will double your harvest! Variety Information: 3" x 1 ½" oblong, red fruits with few seeds. When to Sow Outside: For mild climates only: 1 to 2 weeks after your average last frost date, and when soil temperature is at least 60°F. When to Start Inside: RECOMMENDED. 4 to 6 weeks before transplanting. Transplant when air temperature is 45°F or warmer, usually 1 to 2 weeks after your average last frost date. 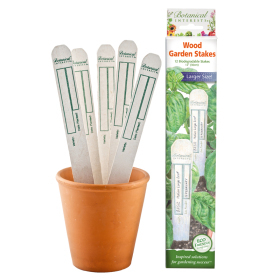 Ideal soil temperature for germination is 70°–90°F. 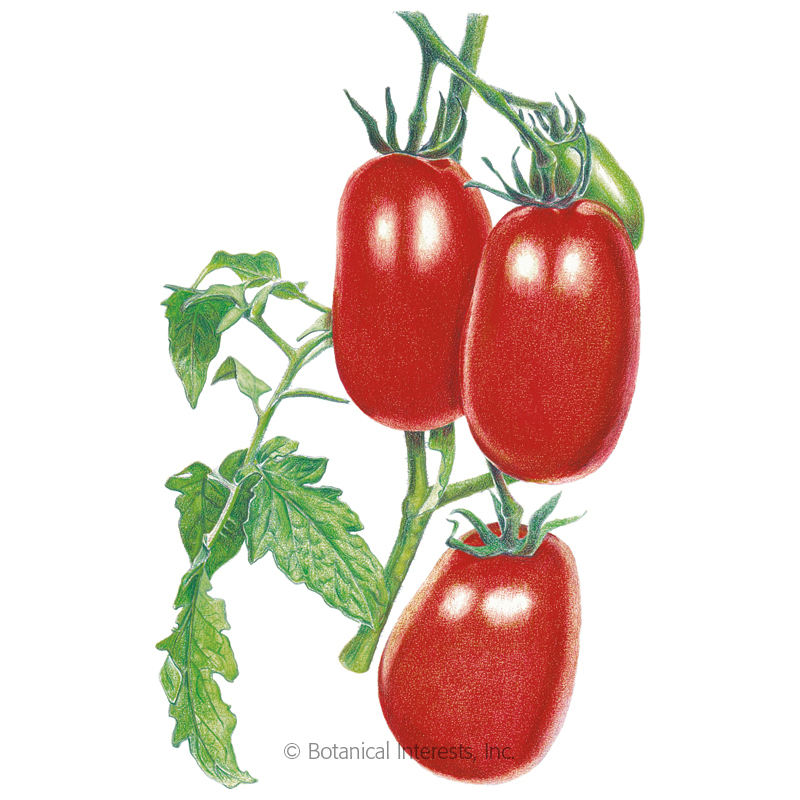 Seed Spacing: A group of 3 seeds every 24"
Thinning: When 2" tall, thin to 1 every 24"
Harvesting: 'Italian Roma' tomatoes are at the peak of sun-ripened deliciousness when red, and have a slight give when gently squeezed. 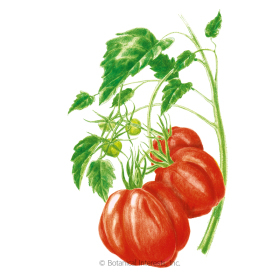 Tomatoes: Common Pests and Diseases. I planted these seeds for the 1st time this year (indoors 4/7/18 then transplanting 5/20/18 to a raised bed). Kept a total of 6 plants and placed a tall circular cage around each plant mid-June, training the branched leaves up and over. After watching a youtube video on how to trim up the plants and prune the centers out, fed each plant bi-weekly with Jobe's Organic veggie food, I am VERY PLEASED to say that in mid-September the 1st harvest yielded such a bumper crop ! At least 30 lbs! I've harvested 3 times so far and I'm waiting on some additional fruits to red up (it's mid October and we're having an early Fall heat wave). The fruits have been very compact, thick, meaty, very little seeds, with luscious robust flavor. Nothing like what you see in the grocery store. I've canned tomato paste, spaghetti sauce, tomato soup and bloody mary mix. The scent in the kitchen of the cooking Roma's is amazing! My husband eats the Roma on its own, with a bit of salt, like an apple. The plan is to plant twice as many plants in our 4X16 raised beds. 6 fit perfectly on one half of the beds, so 12 will be even better. I do not use any pesticides, as we do have 4 boxes of Italian honey bees. I planted the tomatoes with Queen Sophia Marigolds and I didn't have any problems with pests! This is a fabulous plant!